SKU: N/A. 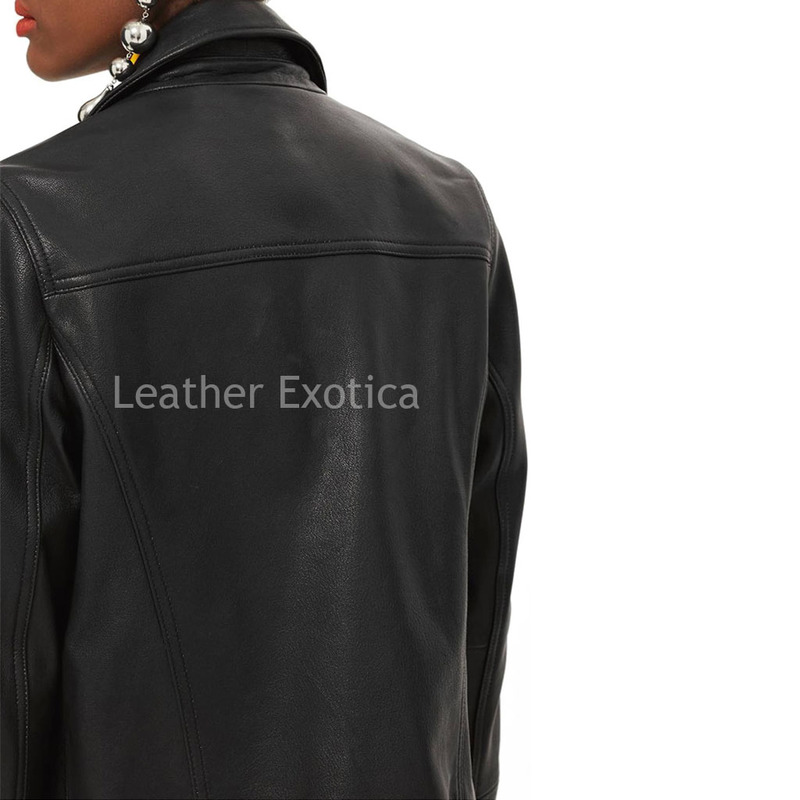 Category: Leather Jacket. 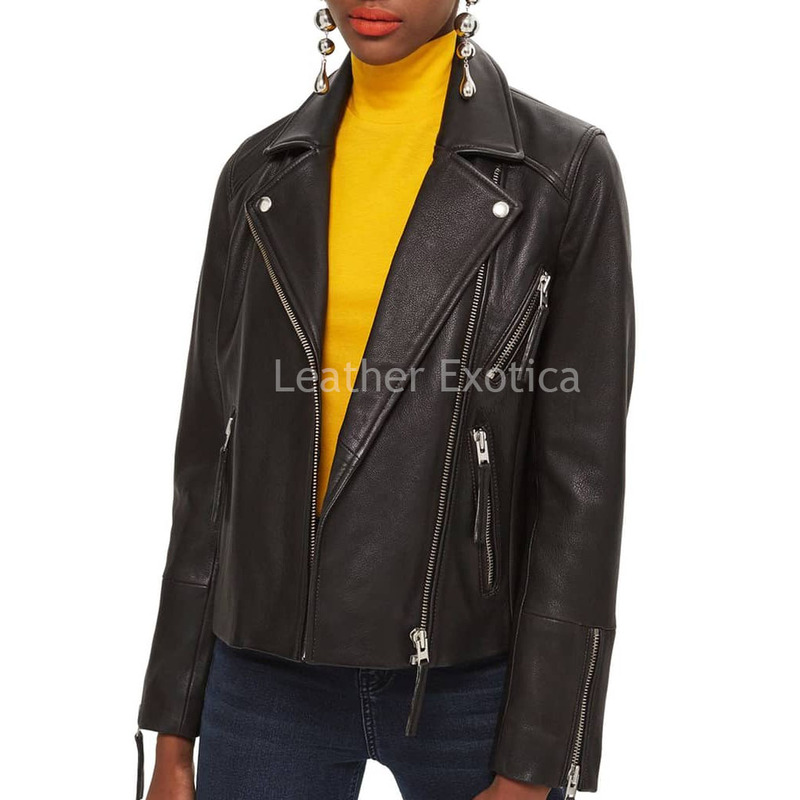 Hold this unique style women biker jacket which is crafted from lamb skin leather and featured with front zip closure and has notched lapel. It has long sleeves with zippered cuffs and has side-zip pockets and has one zipper pocket at chest. This is a paneled leather jacket for women which is fully lined and available in many colors and all size. So women hurry up!! 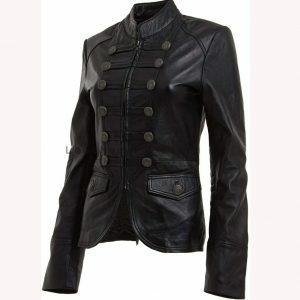 Get this perfect style women leather biker jacket.